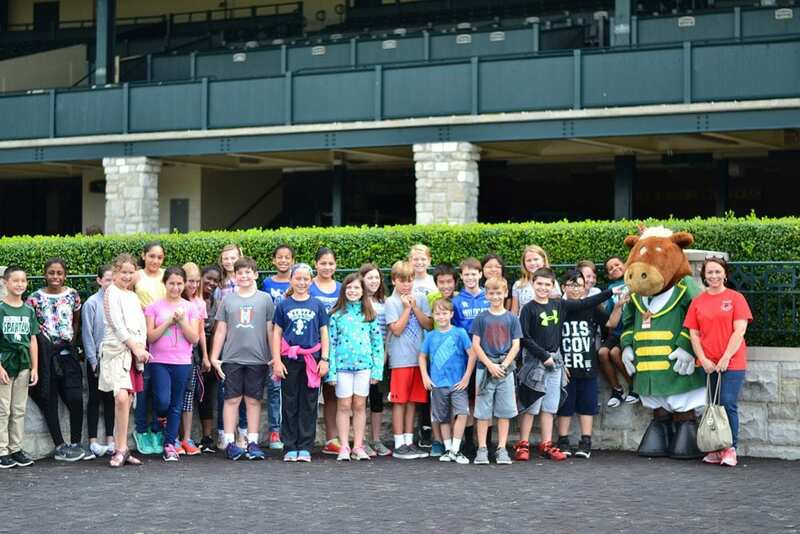 Now in its eighth year, the program has given more than 20,000 fifth-grade students the opportunity to see the inner workings of Keeneland and the Thoroughbred industry firsthand. From the excitement of the auctioneer's gavel falling on sale-topping horses in the Sales Pavilion, to the tenacious year-round effort needed to train elite equine athletes for the Spring and Fall Meets, the program orients local youth with the business conducted at Keeneland. Each two-hour tour will commence at 10 a.m. with a welcome address by a member of Keeneland's executive team in the Sales Pavilion. Students then will watch an informative video about Keeneland and take part in a mock Thoroughbred auction. The walking portion of the tour includes a variety of themed educational stations, including Keeneland history lessons in the Walking Ring, Thoroughbred industry careers in the Winner's Circle, racing information at the Finish Line, the safety of Keeneland's human and equine athletes, and important landmarks at the track. To encourage further learning, Keeneland will distribute a special Thoroughbred Racing and Sales educational workbook to students. The colorful pages are filled with information about Thoroughbred training and care, jockey equipment, racing surfaces, a glossary of equine terms and statistics on the industry's economic impact in Kentucky. This entry was posted in The Biz and tagged auction, Bill Thomason, Horse Racing, Keeneland, Keeneland Racecourse, Kentucky, thoroughbred by Press Release. Bookmark the permalink.